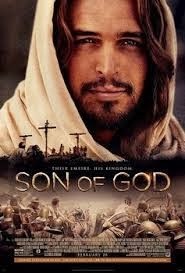 On February 28th the movie Son of God will be opening up in theaters. The trailer of the movie looks amazing. It would be a great way to start off Lent this year since it will be opening the week before or even see it during Lent. Below is the trailer for the movie as well as the readings for the day. Until tomorrow, God Bless, and find ways to bring Jesus into your heart. near the doorpost of the LORD’s temple. “How long will you make a drunken show of yourself? “It isn’t that, my lord,” Hannah answered. “I am an unhappy woman. She replied, “Think kindly of your maidservant,” and left.